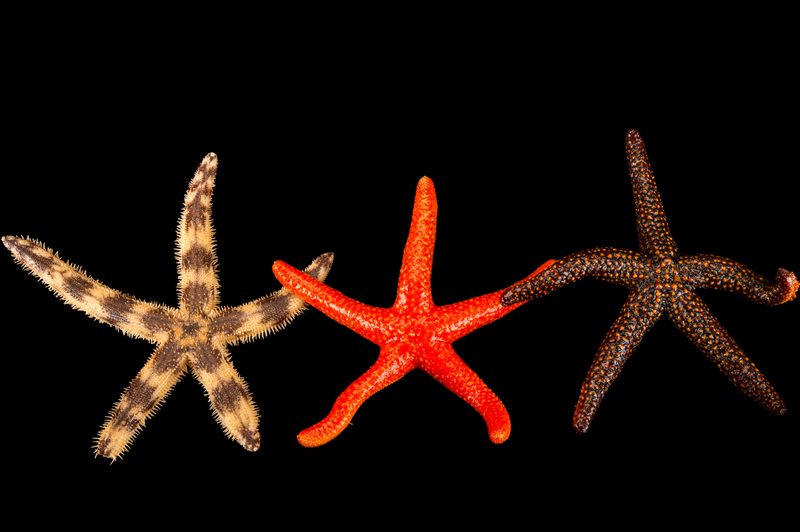 Since there are no fresh water echinoderms, this is one of the most popular phylogenetic assortments, with collections of writhing brittlestars lashing their snaky arms, bristling sea urchins and burrowing sand dollars. 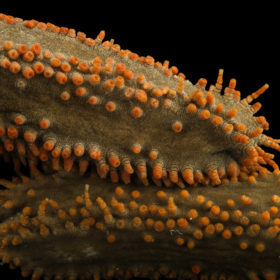 Sea cucumbers, shaped as their name implies, tunnel through the sediments like earthworms taking up nutrients and starfish creep up the aquarium glass, wrapping their arms around tunicates, or chopped clams. 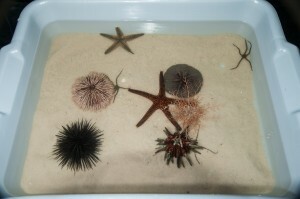 Sand stars emerge from sand and “speed” along the bottom, on raised tubed feet when a bit of food is dropped in the tank. 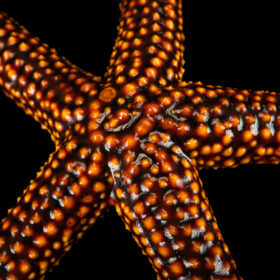 AS-24 ECHINODERM ASSORTMENTS: These assortments usually include two or three of every listing, and sometimes there are surprises such as sea biscuits and other echinoderms.